Below is information and preparations you want to be aware of before entering Canada that should ensure your passage into Canada is seamless. Passports are not required for U.S.Citizens entering Canada. However, the correct documentation is required to re-enter the United States. If you are traveling with your own children aged 15 years and under, children require a birth certificate for land or sea travel, and a passport for air travel. If you are traveling with a child other than your own or without your spouse, you will need to have child’s birth certificate and a letter of permission from that child’s parent or guardian, or your spouse. This is required in the case that Canada Customs requires to verify that you have permission to bring the child into Canada. 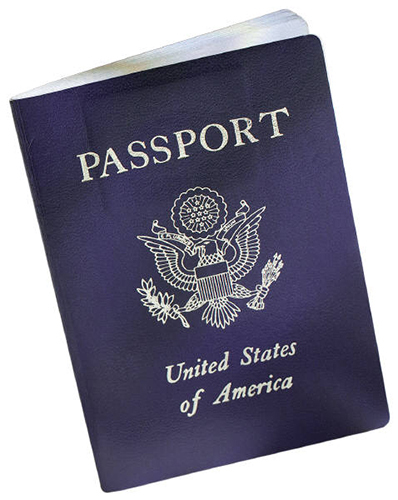 Visitors from countries other than the United States require a valid passport and in some cases, a Visitor Visa. Visitor Visas are issued by Immigration Canada offices, embassies and consulates. There are restrictions on what you can bring into Canada. Alcohol: If you are 19 years of age or older and crossing into Ontario, Canada, you can bring, free of duty and taxes, 1.5 litres (50 ounces) of wine, 1.14 litres (40 ounces) of liquor, or 24 x 355 millilitres (12 ounces) of beer or ale. You can also purchase alcohol in Canada at the “The Beer Store” or the LCBO store. Tobacco: If you are 19 years of age and older, and crossing the border in Ontario, you are allowed to bring, free of duty up to 200 cigarettes, 50 cigars, 200 grams (7 ounces) of manufactured tobacco and 200 tobacco sticks. It’s important to know that if you bring more alcohol and tobacco product amounts listed here, you are required to pay duty on excess amounts. Pets: Dogs and cats accompanying their owners from the US must have current (within 36 months) rabies vaccination certificates. Firearms: Handguns, fully automatic weapons, modified weapons, stun guns, mace and other weapons are not allowed in Canada. If you routinely carry a firearm, it is recommended you leave it at home, or leave it with Canada Customs when crossing. If you are exiting Canada at a different border crossing, Canada Customs will also transport your firearm to the other border crossing. If you are bringing a firearm into Canada for hunting, or a sporting event, you must report your firearms to customs at the border, complete a non-resident firearms declaration form in triplicate and have it confirmed by a customs officer. Bait: You cannot bring live minnows, smelts, leeches, or any other type of bait fish into Ontario from the United States. Night crawlers are allowed but must be packed in containers with artificial bedding. We recommended you purchase your live bait once you’re entered into Canada. Individuals with a felony or misdemeanor conviction may not be allowed to enter Canada. This includes DUIs. However, your admissibility depends on the nature of your offense, the number of offenses you have and how long ago it occurred. If this situation applies to you, or someone in your party, you need to contact Immigration Canada well in advance of your trip. You may have to complete some paperwork to determine whether you are admissible. Contact Citizenship and Immigration Canada regarding any forms you may be required to complete. If you wish to fly your own plane into Canada, you must make arrangements with Canada Customs. In our area, Sault Ste. Marie, Ontario is the most convenient airport to clear customs and immigration. You can fly into the Sault Ste. Marie Airport, the Wawa Airport, or if you have an amphibious plane, you can fly right up to our resort. *Please Note: The U.S. Social Security Medicare Program does not provide for payment of hospital or medical services outside the United States. At Errington’s Wilderness Island Resort we accept VISA, Mastercard, Debit Cards, U.S. and Canadian cash, or Travelers Cheques. For deposits on reservations, we also accept personal or business cheques in Canadian or US funds. We offer fluctuating US exchange rate which is within 2% of our banks rate for buying US cash. For the last few years, our US exchange rate has been $1.00 US dollars equals from $1.15 to $1.25 Canadian. For Euro, 1.00 Euro is worth approximately $1.40 Canadian. As a visitor to Canada you can claim a refund of 7% on every dollar spent while in the country on accommodation and most goods you take home. If crossing into the United States at Sault Ste. Marie, Ontario you can claim your 7% GST cash rebate at the Duty Free Store on the Canadian side of the International Bridge approach. Be sure to keep your receipts for instant GST rebates (minimum acceptable expenditures, excluding taxes, must cumulatively total a minimum of $200.00 with each individual acceptable receipt totaling at least $50.00). Collecting your GST rebates is quick and uncomplicated and we will thoroughly explain the process to you before you leave our resort. It is illegal to take automobile radar detectors into the provinces of Quebec, Ontario, and Manitoba or into the Yukon and Northwest territories. The police will confiscate radar detectors, whether in use or not, and may impose fines up to $1000. Returning U.S. Citizens are eligible for $800.00 duty-free personal exemption every 31 days, having remained no less than 48 hours in Canada. Any dollar amount of an article or articles over $1000 is subject to variable duties.